As the heart of the home, your kitchen is one of the most important living areas. After all, not only is it the space normally used the most, but it makes a perfect place to spend time with family and friends, satisfy your hunger, or dream up and deliver wondrous culinary creations to be fully enjoyed. If you’re in the process of updating your kitchen, it’s important to get it looking wonderful, so that you can make the most of this welcoming and attractive space for years to come. As the saying goes, ‘the devil is in the detail’, so make sure you do your research, talk to some expert kitchen designers and get every bit right, from the design stages at the very start, right through to the finished, fully fitted product at the end. To help you get started, it’s often a good idea to take a look at some of the latest design trends and work out what style suits you and your home best. 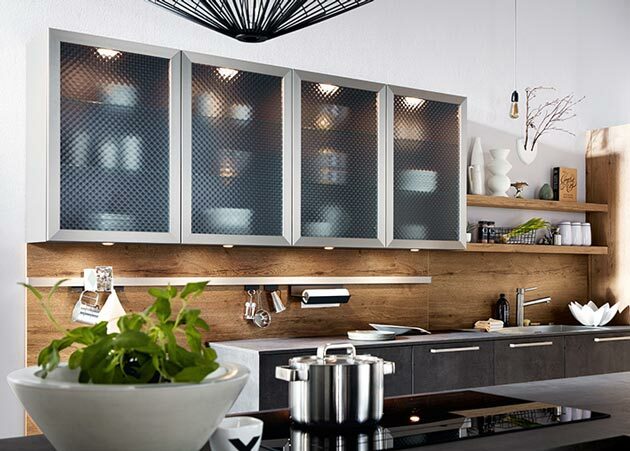 Any space which doesn’t let in the light can feel dark and depressing – and often kitchens will struggle with this, so if the lack of light is unavoidable, make sure you get your artificial lighting scheme right. Even if the sunlight streaming in through the windows is great, when the long winter nights roll around, you’ll want well placed lighting to highlight the areas where you work. This is in addition to the sort of lighting concept that will bring an attractive and welcoming feel to the whole room if you’re entertaining in there. Decent kitchens often come with a whole choice of lighting options, depending on what you’ll be using the room most for. And there’s even the opportunity for under cupboard lighting, pendant lights and specifically placed illuminations to highlight the most attractive parts of the design and set the mood. Work surfaces are one of the parts of a kitchen which is noticed the most. And when these are poor quality, they can end up looking shabby, worn and chipped – ruining the overall look and feel of the whole room. There are lots of great quality worktops to choose from when creating your kitchen, from granite and marble, through to Corian, hardwood, stainless steel and good quality laminate. Finally, a great kitchen design trend is not to overcomplicate things, but make the most of your space through well placed appliances, attractive work spaces, excellent lighting and a stunning colour scheme. But if you’re ever unsure, it’s always a good idea to ask the professionals. Contact us to arrange a consultation today and find out more about the options available to you in creating your dream kitchen.